Pile a plate with Belgian waffles with a side of bacon or go light with fruit and cereal. 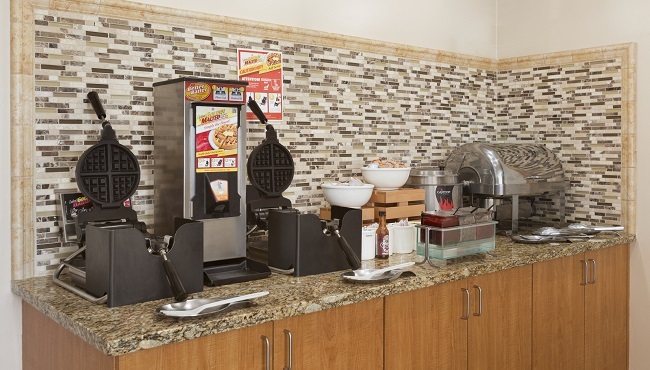 At the Country Inn & Suites, we provide you with our free, hot breakfast for a delightful way to start your day in Eagan, MN. Take time to read the free weekday newspaper while you sip a fresh cup of coffee. 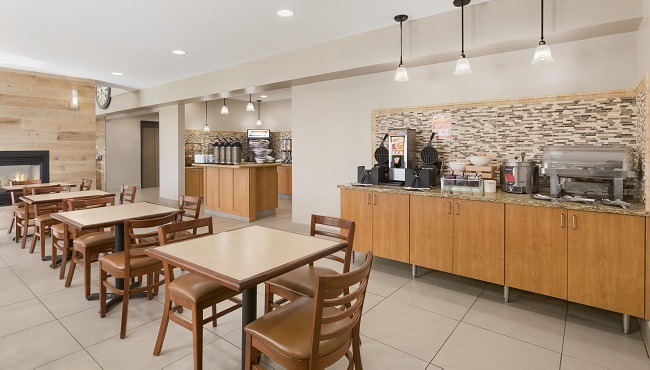 Later, you can try one of the local restaurants for lunch or dinner, such as Dickey’s Barbecue Pit for mouthwatering house-smoked BBQ or Jake’s City Grille for a fresh burger and fries.